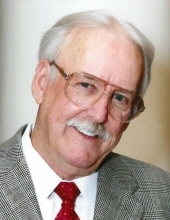 Tommy Leonard Earles, 83 passed away at Carilion Hospital in Roanoke on Tuesday, October 16, 2018. Born in 1935 in Martinsville to the late Mattie and Willie Earles and was one of 8 children. He was employed at American of Martinsville for a number of years and later went on to own Tommy's Rives Road Grocery. His enormous heart touched so many, and he always made you feel like you were the most important person on earth. Our father and grandfather left a legacy of unconditional love and made his family the center of his world. We will miss him greatly but have so many wonderful memories to give us strength. He is survived by his wife of 61 years, Connie Earles; son, Tommy Dean Earles and his wife Debra of Snow Creek; daughter, Sherri Bell, of Bassett; sisters, Virginia Houston of Americus, Georgia, Judy Wright of Lavonia, Georgia, and Gloria Holmes of Yorktown, Virginia. Grandchildren include Amanda Altice, Brandon Altice, Morgan Haley, Madison Haley, and Hudson Bell; and great-grandchildren, Athon Thompkins and Turner Altice. The funeral service will be held at 12:00 noon on Friday, October 19, at Norris Funeral Services, with visitation one hour prior. Memorials may be made to Amvets Chapter 35 in Collinsville, VA or to First United Methodist Church, 145 E. Main Street, Martinsville, VA 24112. Norris Funeral Services, Inc. and Crematory of Martinsville, VA is serving the Earles family. To send flowers or a remembrance gift to the family of Tommy Leonard Earles, please visit our Tribute Store. "Email Address" would like to share the life celebration of Tommy Leonard Earles. Click on the "link" to go to share a favorite memory or leave a condolence message for the family.